Is a pay hike really so important that doctorscan forget their purpose of life? At least 51 deaths have been reported in the state of Rajasthan, caused due to the ongoing strike of the state's doctors. Over 3500 doctors have been on strike, due to a demand for higher wages. The medical attention that people should be getting in the state's hospitals has been taken away from them just because the educated doctors feel that they should be earning a little more! So much for the Hippopotamus oath! At least 20000 NRHM contract employees (National Rural Health Mission) are also striking work, bringing the medical services to a complete halt. The government has clamped Rajasthan Essential Services Maintenance Act and 400 doctors have already been arrested for violating the same. 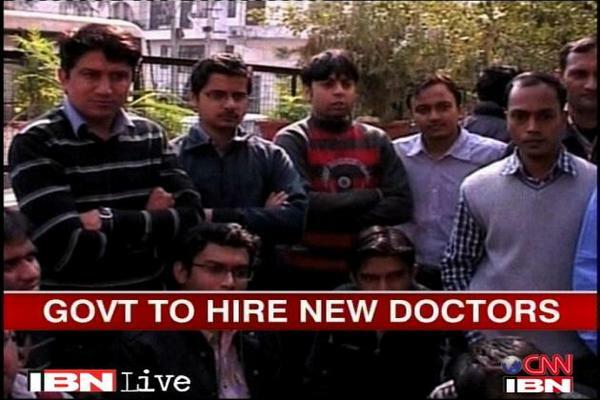 There are talks of hiring new doctors, but nothing concrete yet. Women in Poland Strike to Protest Proposal for Abortion Ban. Surgical strikes: The attack as interpreted by Indian media. Aishwarya is going to give birth on 11/11/11!!! From Action Kumar To Dr. Kumar! Lokesh Kumari Doesn't Fail to Surprise! The Baby Who Catches Fire Spontaneously!